Untuk aplikasi yang satu ini sepertinya tidak dijelaskan pun pasti sobat sudah tahu. 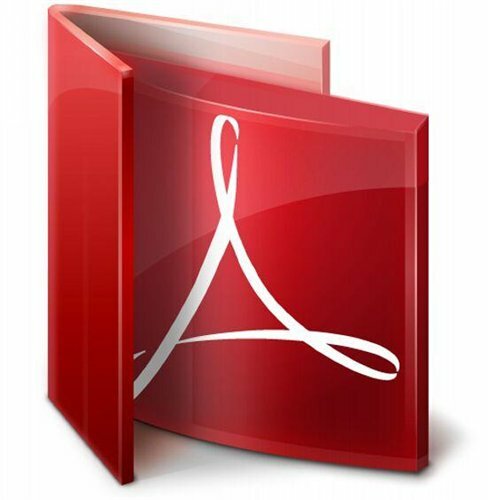 Adobe reader adalah software buatan Adobe untuk membaca file yang berbentuk PDF. Adobe reader MUI is Adobe’s Multilingual User Interface version. This product is capable of installing any combination of supported languages. So, for example, you can install French, German, and Spanish simultaneously, and then have the capability to switch among those languages within adobe Reader. The user interface changes to the appropriate language on the fly. Quickly manage and control reader deployments using the adobe Customization Wizard, IBM Tivoli, Microsoft Systems Management Server, Windows® Group Policy Objects, or Active Directory. Centrally host reader using Citrix Metaframe Presentation Server or Microsoft Windows Terminal Server. Deliver a reliable experience across operating systems. reader supports a wide variety of operating systems, including Microsoft, Macintosh, Linux®, and Solaris™. Extend the functionality of adobe reader using the Acrobat software development kit (SDK), now available free of charge. Reader helps meet the accessibility requirements mandated by Section 508 of the amended U.S. Rehabilitation Act. Try the Read Out Loud capabilities, or change the reading order of pages or columns after PDF files are tagged to accommodate preferences. Reader supports the new ISO Standard 32000 for PDF. Also, reader continues to support PDF/A, the ISO-approved standard for the long-term preservation of electronic documents; PDF/X (printing); PDF/H; PDF/E (engineering); XMP/RDF; and ODBC.